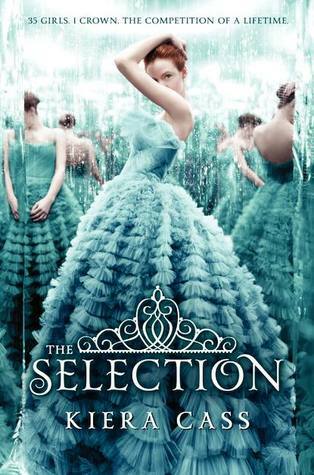 After having this book sitting on my Kindle for a long time, I finally decided to give the popular YA novel: The Selection, by Kiera Cass a good read. America (she's the main character, not the continent! )'s world is divided into 8 different castes. Eights are the lowest class, with no food, house, job or education; up to Ones, the wealthiest people in the country: the royal family. America is a Five, and considered very low. Although she may have a home, and a small education, she regularly goes hungry and is not treated how a human should be. I immediatly got stuck into this book, and its tale. Dystopian tales are some of my favourite genres and this was certainly different to any previous book I've read. I thought that it wouldn't have much of a plot, much of a story, but it did. The writing became alive around me, and I watched relationships grow, and disappear. I was sitting behind my Kindle urging America to do particular things. Even though I haven't read either The Hunger Games or Divergent yet, fans of those stories are absolutely meant to LOVE The Selection! There's also another 2 books in the series: The Elite and The One, as The Selection doesn't finish up the book. In fact, I loved this book so much, I'm off to get the 2nd one now! Overall, I would fully recommend this to all teens. I am 10 (11 in a few days) and I did manage it fine, but it's probably best for 11 or 12+, especially fans of dystopian tales, but without all the blood and guts!